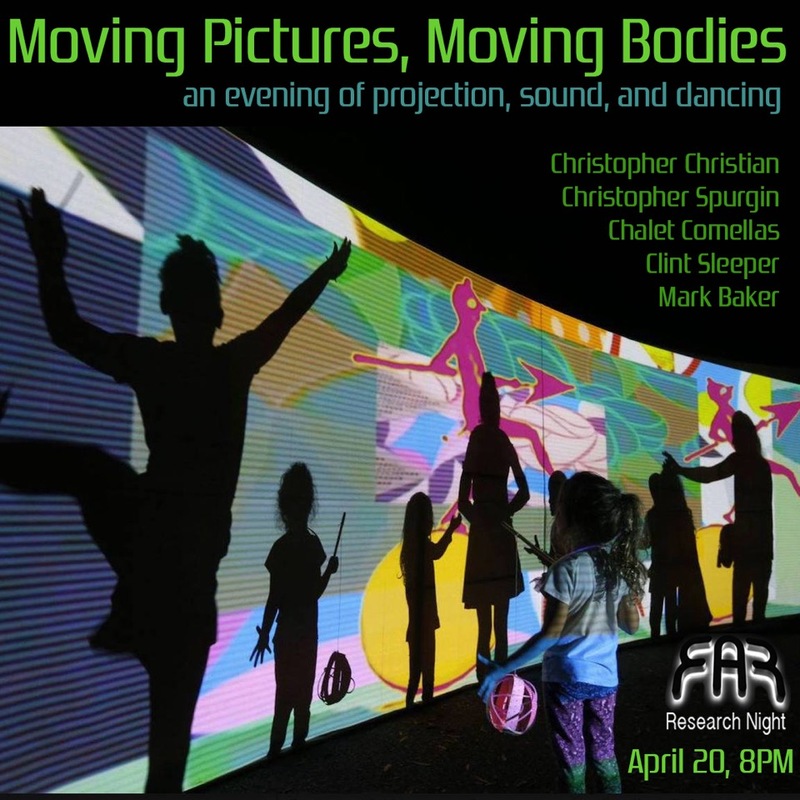 Bring your dancing shoes to the end-of-the-year exhibition at the Facility for Arts Research featuring projection, music, and dancing! The centerpiece of the night will be a reprised presentation of Feverous Transgressions by Chalet Comellas, Mark Baker, and Clint Sleeper. Feverous Transgressions is a multi-media interactive installation of sound and video that simulates a zoetrope. The video is projected on a 24-foot curved screen. Screenings include multi-media animation by Chris Christian, and video works by Christopher Spurgin. Stick around for dancing following the screenings. FAR: 3216 Sessions Rd, Tallahassee, Fl.